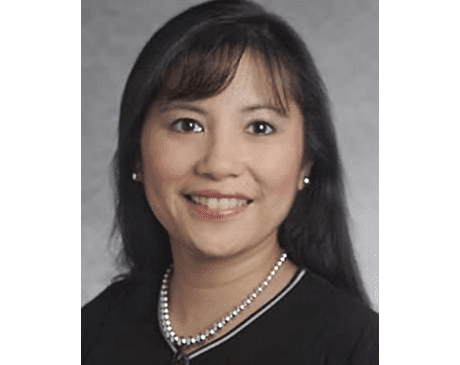 Arlene J. Fontanares, MD, graduated from the University of Virginia, then went on to earn her medical degree from Eastern Virginia Medical School. She stayed at Eastern Virginia Medical School for her internship and residency, and is proud to continue to serve as a member of their clinical faculty. Dr. Fontanares is a Fellow of the American College of Obstetrics and Gynecology. Dr. Fontanares thrives in the field of obstetrics and gynecology where she loves delivering babies and has a special interest in helping adolescents as they make their transition into the world of women’s health care. In addition to teaching adolescents about their reproductive health, Dr. Fontanares focuses on preventive care for all women by encouraging annual well woman exams. As a native of Hampton Roads, Dr. Fontanares is happy to live in the area with her husband and two sons. In her free time, she enjoys knitting, reading, photography, and traveling. She’s also fluent in Philippine dialects.